While packing your parcel please choose a box size properly. A box of excessive size can press during transportation. Multilayer cardboard boxes are recommended for fragile parcels. Please fill the spare space with air-bubble film or similar material. Use tough adhesive tape for packing of boxes. 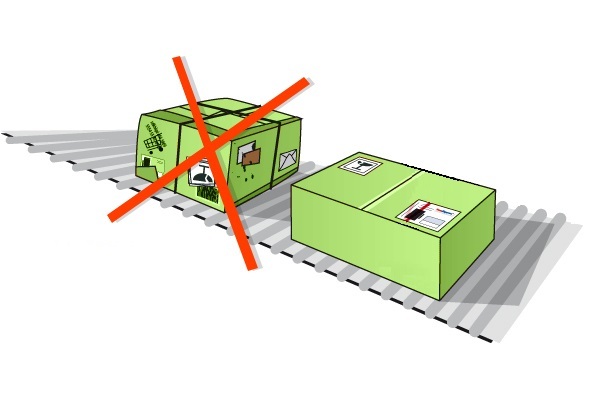 While packing we recommend placing of fragile things in the centre, so that they would not have contact with the box walls. Please ensure that your parcel would bear a weight of the other parcel. Remember that smudging things can damage adjacent parcels, so please seal them well. Re-pack presents. Majority of products in a decorated package are not properly packed. Please clearly specify address of the recipient on each parcel. We recommend specifying several telephone numbers. We hereby remind that unpackaged or poorly packaged parcels may be accepted for carriage, however the Company shall not be held liable or responsible for their safety. Please see item 6 of the Rules. 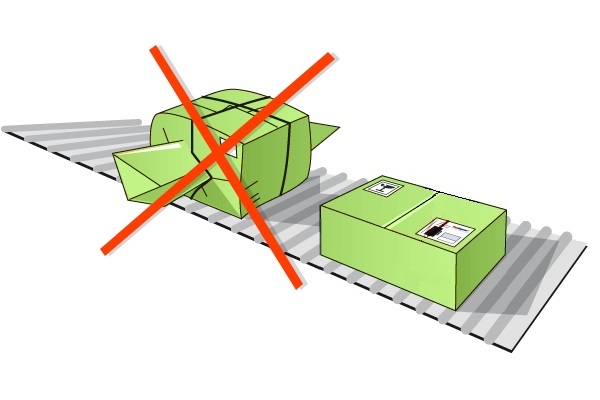 Keep in mind that with thorough wrapping and labeling of a consignment significantly reduces the risk of damage to goods during transit, sorting and further handling of the consignment. The wrapping must comply with the weight and contents of the consignment. 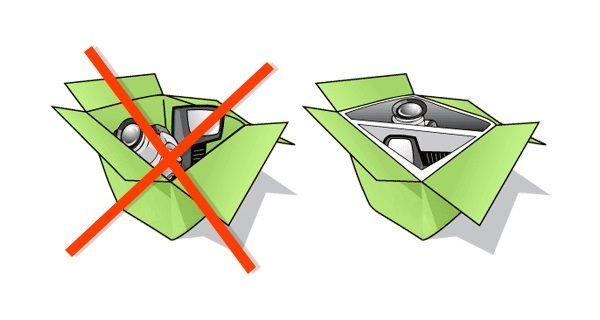 Goods inside the carton must be fixed by a lining to prevent its movement in all directions and limit the possibility of the carton turning over and damaging the goods. The wrapping must be in one piece. In no event should you bind several cartons together. There is the risk of individual unmarked “bound” pieces becoming separated. This greatly increases the risk of possible losses, and our company shall not be liable for such a consignment. A product must not in no event jut out from the footprint of the carton. 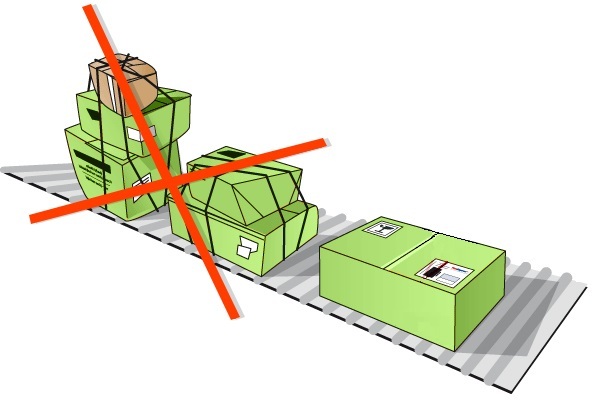 If a consignment contains fragile goods or goods sensitive to changes in position, you must warn the driver that mark it with special label („FRAGILE“), which marked and its position of transportation. Transport labels must not be obscured in any way, for example, by another label, binding twine or adhesive tape. Check transport label (address of the recipient) before handing over for transport. 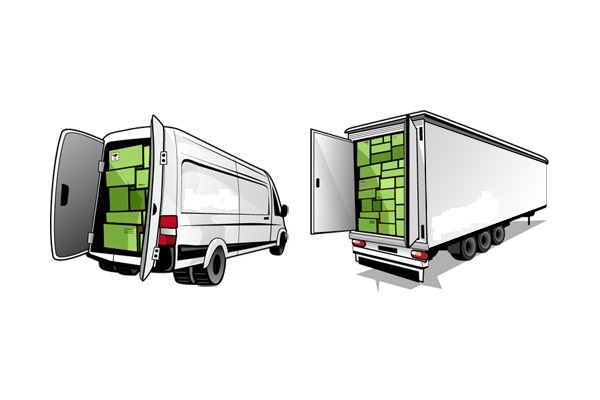 Systematic transport does not rule out that your consignment will be at the bottom of the cargo space! Keep in mind that the largest unit permitted weight should not exceed 30kg.!! !